Celebrate the possibilities of all you can stuff between two pieces of bread! 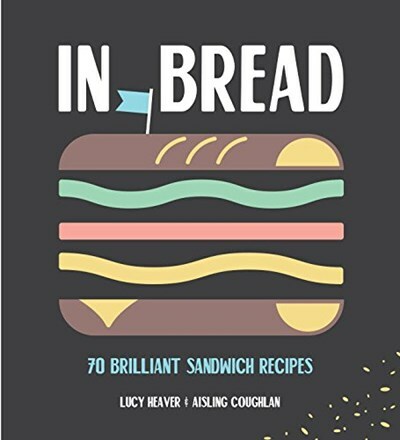 In Bread is a smart and simple cookbook that celebrates classic and much-loved sandwich recipes from around the world as well as homegrown favorites—and includes bagels, baguettes, wraps, flatbreads and toasties. Every country has its own variation, and In Bread takes you around the world one delicious doughy bite after another, from the mighty Philly Cheesesteak, to the hearty Ploughman’s to the humble PB&J. Filled with eighty delicious and easy-to-follow recipes for any time of day, whether you’re relaxing at home on a lazy Sunday afternoon, feeding your nostalgia for that moreish street food you ate in a faraway place, or looking for inspiration in the fridge on a Monday morning. With a clean design and full-color photography throughout, In Bread is a true celebration of the mighty sandwich.